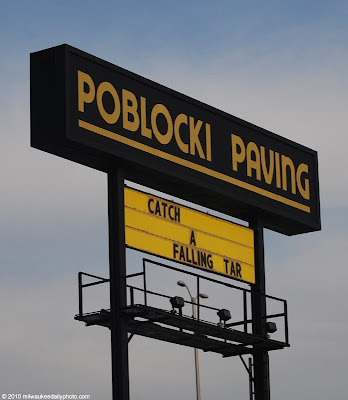 This sign is just east of the Waukesha County line, and Poblocki Paving uses its billboard to send funny messages related to its business. I drive by it every day on the way to and from work. The messages can be real groaners sometimes, but they are often quite funny and witty. Who knew macadam could be funny? Nice one!